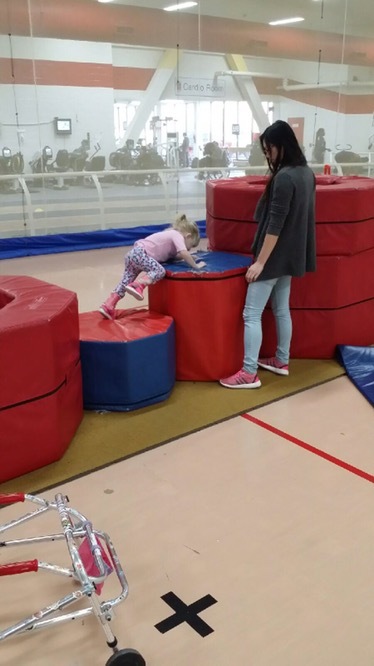 Madison had a great morning at Variety Village for her gym class with Tiffany. It was her last class until after the holidays. 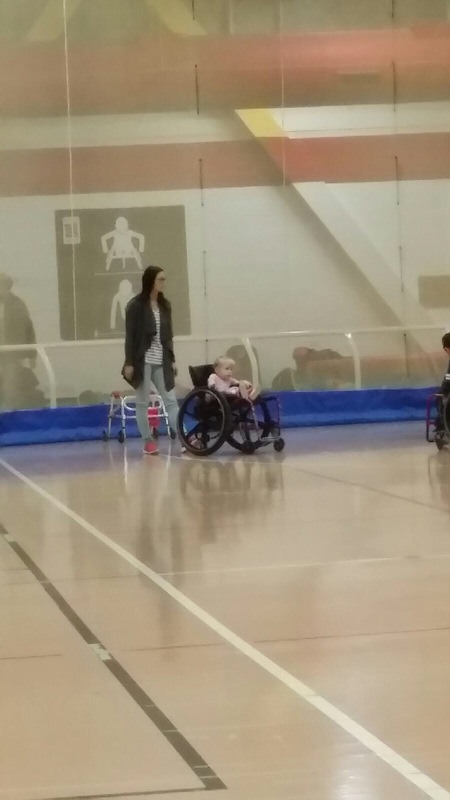 Her favourite thing about today was that the whole class did all the activities in wheelchairs. They played different games and her favourite was “fish net” where she got a free pass through the net because of her pink shoes! 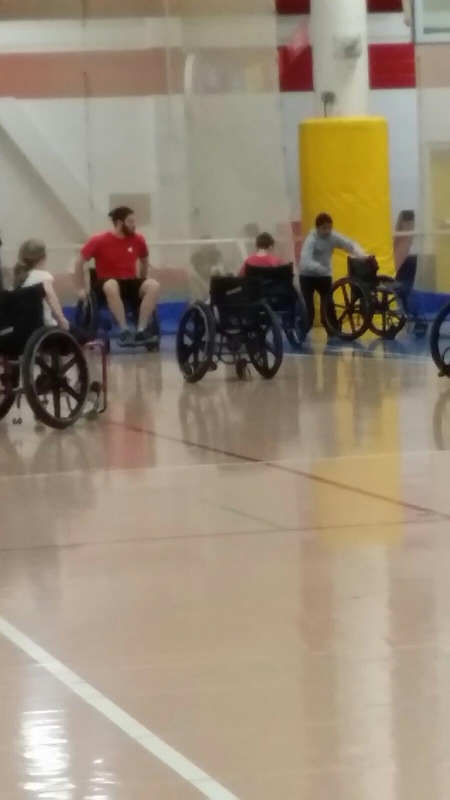 It’s so awesome for her to be exposed to such an inclusive environment where they switch the norms around to give all kids exposure and experience with something like adaptive games for people who require a wheelchair, and to give all kids the experience of using a wheelchair and what it is like. 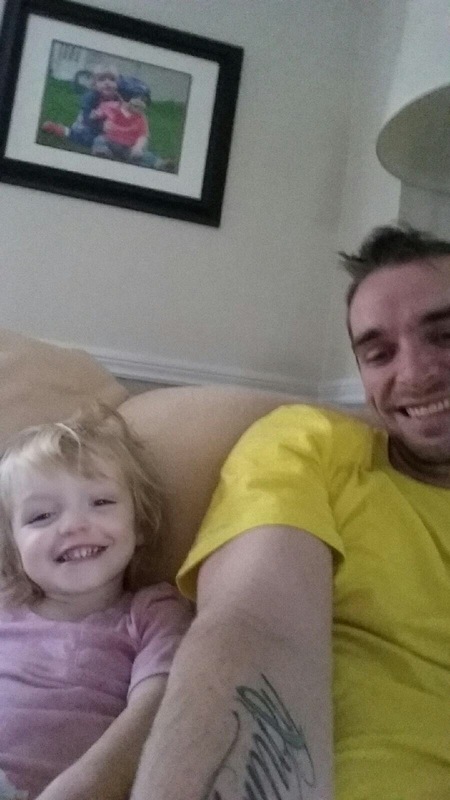 After class, Madi had some good snuggles with Daddy while Jack napped. Both kiddos are under the weather so lots of cuddles and napping are on the agenda. 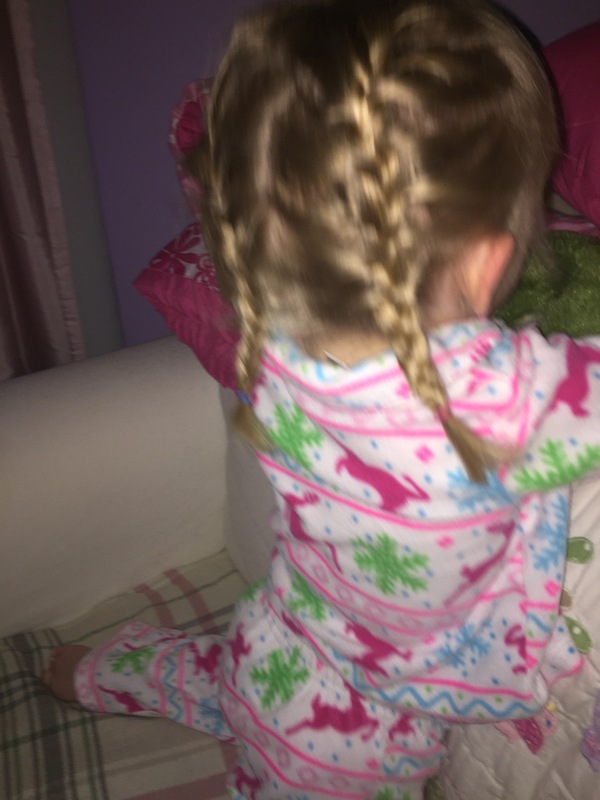 After Mommy was done at her coaching course, Mommy and Madi had a fun night out watching Ruby at her swim meet. Madi loved watching all the kids swim fast. 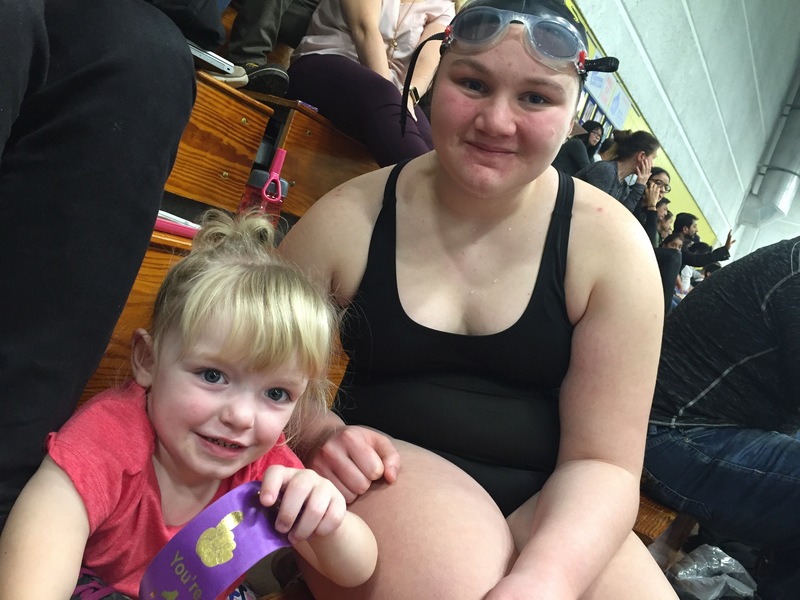 She also loved Ruby’s purple ribbon – great swims Ruby! Once Mommy and Madi got home, Jack and Daddy were ready for bed so it was a good time for a cuddle and chat before bed. 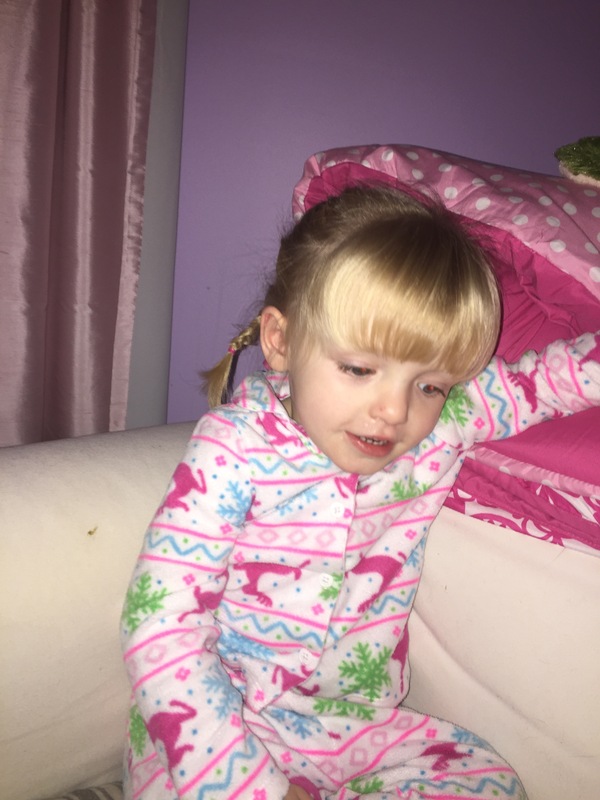 Madison likes telling Mommy & Daddy about her day at bedtime and loves talking through what the plans are for the following day. 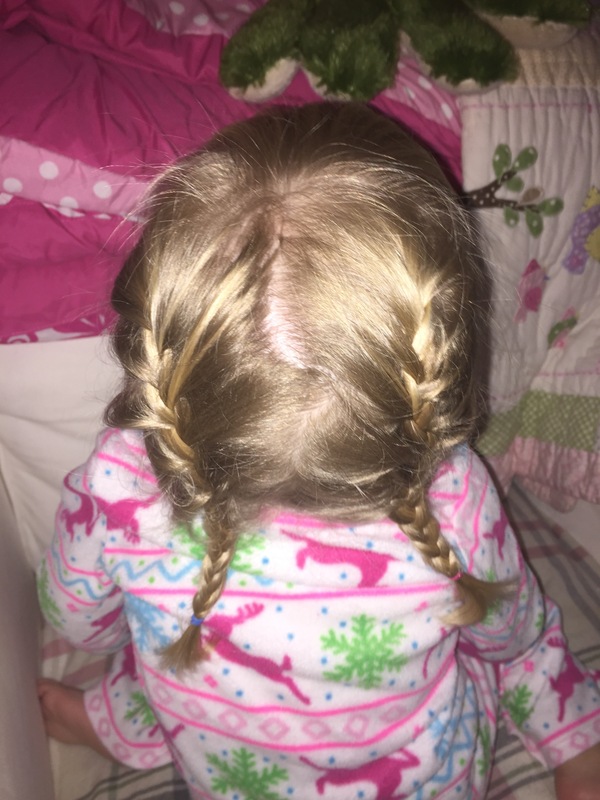 While Madi and Mommy were chatting, they did each other’s hair which was a first! 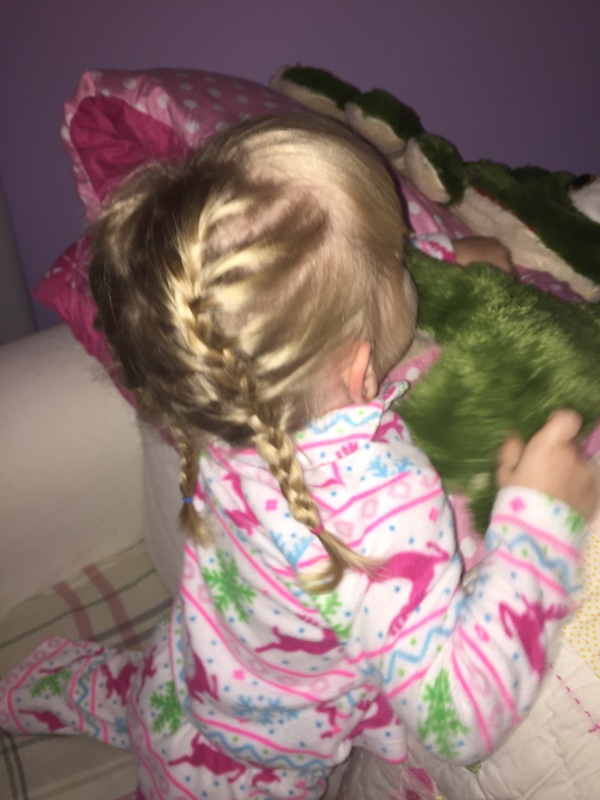 Madi brushed Mommy’s hair and tried putting an elastic in and Mommy was able to fully French braid Madison’s hair for the first time – it was such a special moment.